Jackie Smith joined the Nursing and Midwifery Council in 2010. Before joining the NMC she worked for the General Medical Council (GMC) for over ten years as an assistant director. 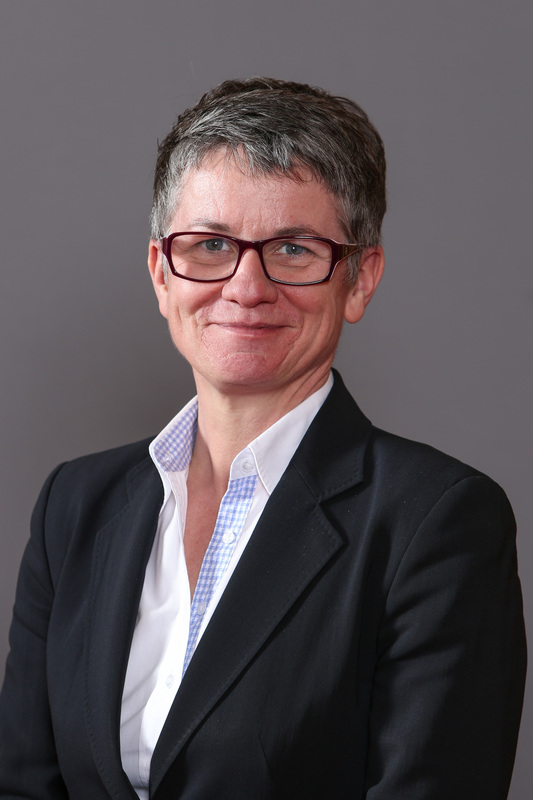 She holds a degree in Law from the University of Wolverhampton and spent many years working for the Crown Prosecution Service at the Old Bailey and in the Director of Public Prosecutions Office. She was appointed NMC's Chief Executive and Registrar in October 2012. PRN spoke to Jackie just after the newly revised Code of Conduct was published on 31st March 2015. PRN: You have just published the new Code of Conduct for nurses and midwives – what has been the response from registrants so far? JS: The Code has been hugely welcomed by nurses and midwives across the UK. It strikes a chord with the vast majority of nurses and midwives who already demonstrate the principles in the Code every day. It is rightly seen as an important set of shared standards, which places public expectations at the centre of what it means to be a nurse or midwife. PRN: Were you guided by the recommendations from the Francis Report which found some failings on behalf of the NMC? JS: The Francis Report, published in 2013, praised the earlier Code’s ‘clarity and simplicity’, so we have tried to retain that in the new version. We have learnt from the Francis Inquiry, and the terrible events at Mid Staffs, as well as from the findings of other reports which have been published in the last few years. We also heard the views of thousands of nurses, midwives, patients and the public to make sure that the Code fully represents patients’ expectations and modern healthcare practice. PRN: How do you support nurses and midwives to uphold the values of the Code? JS: We have worked closely with unions and professional bodies, and with the employers of nurses and midwives, to make sure everyone understands their responsibilities. They should support nurses and midwives to uphold the Code as part of the safety and quality expected by the public and other regulators. Nurses and midwives themselves can also use the Code as a tool to promote safe and effective practice in their own places of work. PRN: The NMC received criticism when it chose to increase the registration fee from £100 to £120 despite opposition from registrants. What steps are you taking to try and change the legislation that means so many fitness to practise hearings have to take place which account for 77% of your income? JS: Changes to the NMC’s legislation have to be made by the government. We can and will continue to make efficiencies within our outdated and inflexible legal framework, but we cannot become the modern regulator that the professions and the public want until we have modern legislation. PRN: What work have you done to find out why fitness practice referrals have increased in volume and complexity? Is this increase a sign that the NMC needs to be more proactive rather than reactive? JS: It is really important that people make referrals to us if the actions or omissions of a nurse or midwife are putting the public at risk. Other regulators have seen similar increases in the number of complaints they receive. There are several reasons for this increase, including a better awareness among patients and employers of what to expect and how to complain. At the moment, our legal framework obliges us to spend most of our resources on fitness to practise cases. We want our legislation to be changed so that we can focus on what happens in a nurse’s or a midwife’s career before it becomes necessary to complain about them to the NMC. One way in which we are already doing this is by launching revalidation in October this year. Revalidation will encourage nurses and midwives to regularly reflect on the new Code, to affirm their professionalism and improve the level of care they are providing. PRN: What are your thoughts on social media as a way for the NMC to interact with its registrants? JS: The NMC is very active on facebook and Twitter (www.facebook.com/nmcuk or @nmcnews). We often work with networks like the brilliant @wenurses and @wemidwives, as well as other organisations, to host twitter chats and we fully welcome comments and questions. I am on Twitter (@jackiesmith_nmc) as are some of my colleagues. Social media is a great tool for building professional relationships, keeping up to date with developments in your field, discussing issues and interests and even accessing CPD resources. It’s important that nurses and midwives use social media responsibly, and in line with the Code. We have produced guidance to help. The subscription process is almost complete just click on the link in the email we just sent you. Thank you!